Alex and Emily spent much of their engagement in different states. After their honeymoon they will spend the next year of their marriage roughly 2000 miles apart while they finish their last year of medical school. 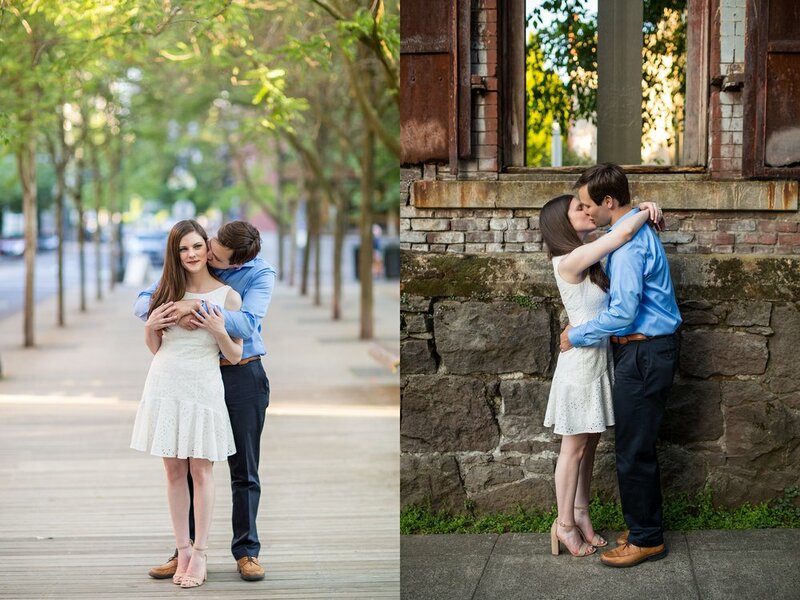 I hope the engagement photos we took just 4 days before their wedding in the Pearl District in downtown Portland can serve as a way for them to feel the closeness and intimacy and love this next year and every year after. It's such an honor to create something so meaningful for my clients.